President of Ukraine Petro Poroshenko welcomed the adoption by the Committee of Ministers of the Council of Europe of a new comprehensive decision on Ukraine, which stresses Russia's responsibility for the implementation of Minsk agreement, in particular, on a ceasefire and the withdrawal of troops, Interfax-Ukraine reports. 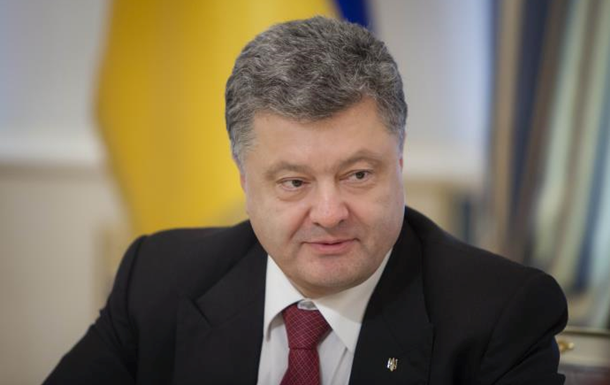 "I welcome the decision of the Committee of Ministers of the Council of Europe on Ukraine. Thank you for the high evaluation of the Ukrainian reforms and support in the fight against the aggression of the Russian Federation. The decision of the CoE emphasizes Russia's responsibility for the implementation of the Minsk agreements, first of all, on a ceasefire and the withdrawal of troops," Poroshenko wrote in Facebook. According to him, the Council of Europe by this decision "recognized the progress achieved in decentralization, anti-corruption and judicial reform, in particular in the reset of the Supreme Court." "We will continue to work closely with the Council of Europe for reforms in Ukraine, the introduction of European standards and counteracting Russian aggression," Ukrainian president wrote. It should be noted that today, on November 8, the Committee of Ministers of the Council of Europe adopted a decision on the situation in Ukraine, the preparation of which was initiated by the Ukrainian side. This decision confirms the organization's support for the sovereignty and territorial integrity of Ukraine in internationally recognized borders; Ukraine's progress in implementing reforms is positively assessed, in particular, in the reform of the judiciary, the establishment of new anticorruption institutions, decentralization. Also, the Committee of Ministers recognized the responsibility of the Russian Federation in the context of the implementation of Minsk agreements, primarily regarding the ceasefire and withdrawal of troops, armed formations and military equipment, and taking the necessary measures for their full and rapid implementation. In this document, the Council of Europe separately stressed the need for adequate protection of civilians who are suffering as a result of the conflict and called for unhindered access to people of humanitarian organizations. As it was reported earlier Poroshenko urged Secretary General of Council of Europe to actively participate in releasing Ukrainians detained by Russia. The President emphasized that all institutions of the Council of Europe should consolidate their efforts in preserving systematic pressure on Russia. Poroshenko thanked the Council of Europe for its support and noted that since the very beginning of Russian aggression against our state, the Committee of Ministers and the Parliamentary Assembly resolutely defended territorial integrity and sovereignty of Ukraine.